One of the most dynamic cities in the world, Barcelona sizzles with food, fashion, and music year-round, meaning there’s enough to see and do to fill up weeks. From Las Ramblas and the Gothic Quarter to the famous Montserrat monastery in the mountains of Catalunya, here’s how to make the most of three days in this buzzing Catalan capital. Your first day in Barcelona is the perfect time to catch all the highlights. Tour the city on a hop-on hop-off bus, or choose a guided tour that caters to your particular interests. Visit architect Antoni Gaudí’s masterpieces (Sagrada Familia, Park Güell, Casa Battló, and La Pedrera), cycle through the old city on a bike tour, treat yourself to a tapas tour, or opt for a private city tour to ensure you don’t miss anything on your must-see list. Regardless, you’ll want to book skip-the-line tickets for the iconic Sagrada Familia and walk down La Rambla on this first day—they’re absolute musts. In the evening, watch a flamenco show or explore the bars of the Gracia neighborhood. Start with a visit to one or two of Barcelona’s excellent museums. 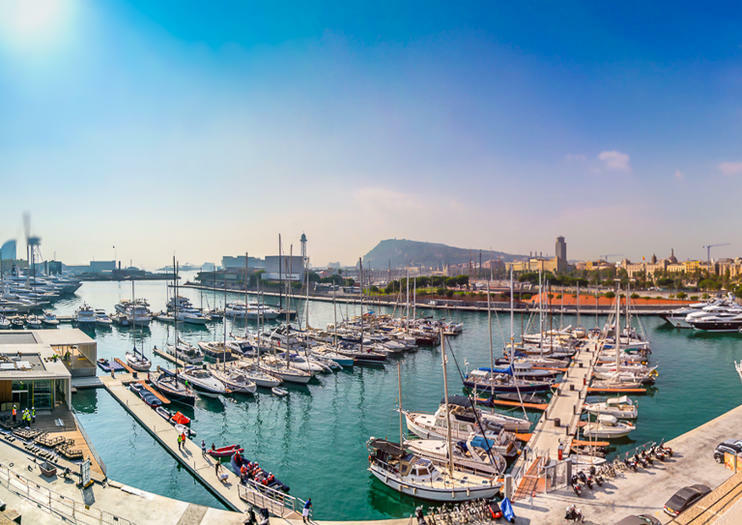 Art lovers won’t want to miss the Picasso Museum or the National Art Museum of Catalonia (Museu Nacional d’Art de Catalunya), while history buffs will appreciate the collections at the Museum of Catalan History and Maritime Museum of Barcelona. Sports fans can opt for a tour of FC Barcelona’s Camp Nou stadium. In the afternoon, get a hands-on lesson in Spanish cuisine with an interactive cooking class, many of which include a visit to the famous La Boqueria market. It’s time to explore the Catalan countryside. For a popular and rewarding day trip, head to Montserrat mountain to tour the historic monastery and do some hiking on the well-maintained trails. Some tours also include an afternoon of cava tasting on the way back to Barcelona. Alternatively, spend the day exploring the works of Spanish master Salvador Dalí on a tour of the Dalí Museum in Figueres, or head to the Costa Brava to walk through whitewashed villages or take a dip in the Mediterranean Sea.